Friday night, my coach, Yoko and training partner, Lauren came over for dinner and we watched the live broadcast of the Olympia. We made some kale chips to snack on while waiting on the delish steak dinner that Vince was grilling. 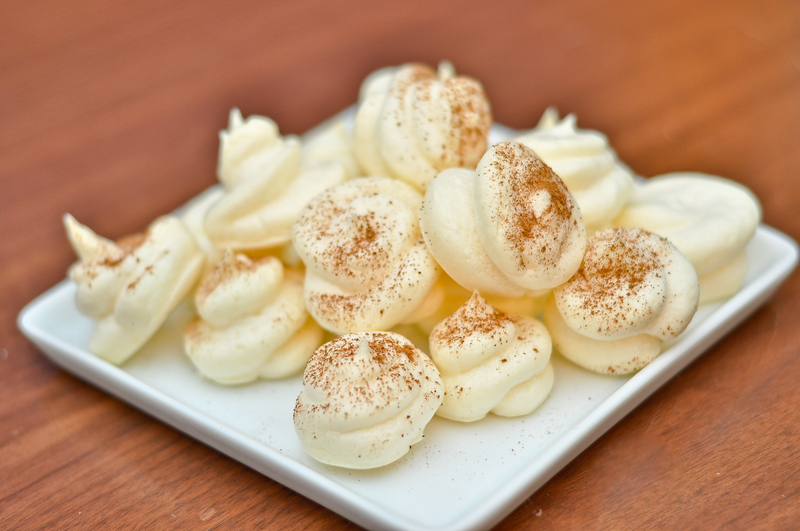 Lauren suggested that we make some meringue cookies for dessert and use stevia instead of sugar. Why didn’t I think of this before??! I’ve made the “dirty” version of these cookies before and they’re delish but why not clean them up? 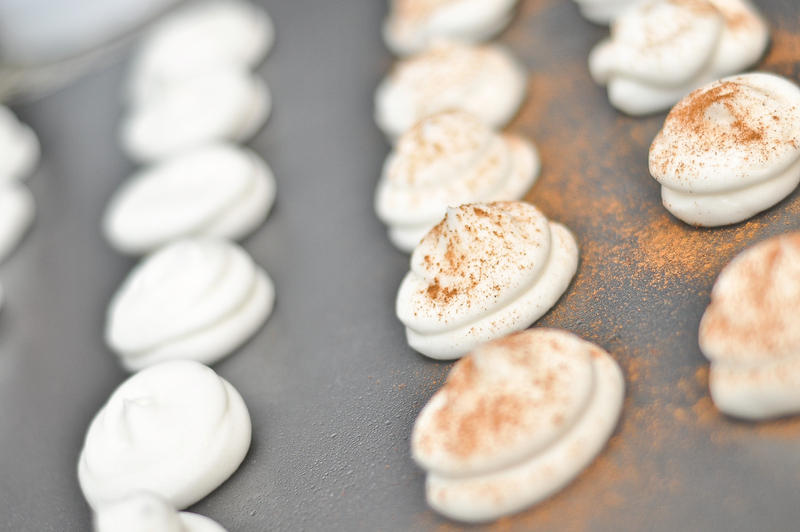 I was skeptical whether using stevia on the meringue will hold up since the reaction between the sugar and egg is part of what makes the puffy stiff texture, but at this point, we needed a clean dessert to try. For the first batch, I made almond lemon flavored ones. The batter came out looking good and they piped well but they flattened out a bit as soon as they cooked. We didn’t care, they tasted great but a little sweeter than usual (it’s the uber sweetness from stevia). The second batch, I made vanilla chocolate ones but for some reason, the batter for this batch was not stiff at all and they were completely flat when they were done cooking. We didn’t care, they still tasted good! Four body builders on prep, eating flat, not fully set chocolate meringue cookies straight out of baking sheet was too funny. I wish we had a picture! 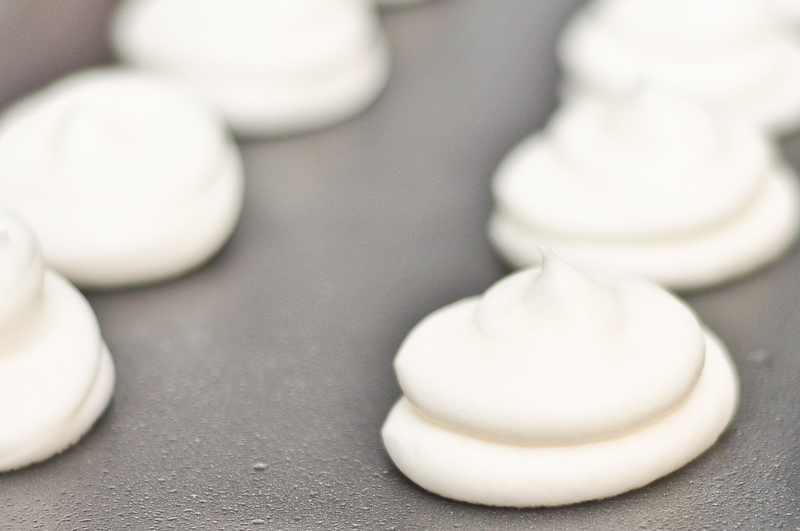 So all weekend long, I thought about what can I do differently to make these meringue cookies work. 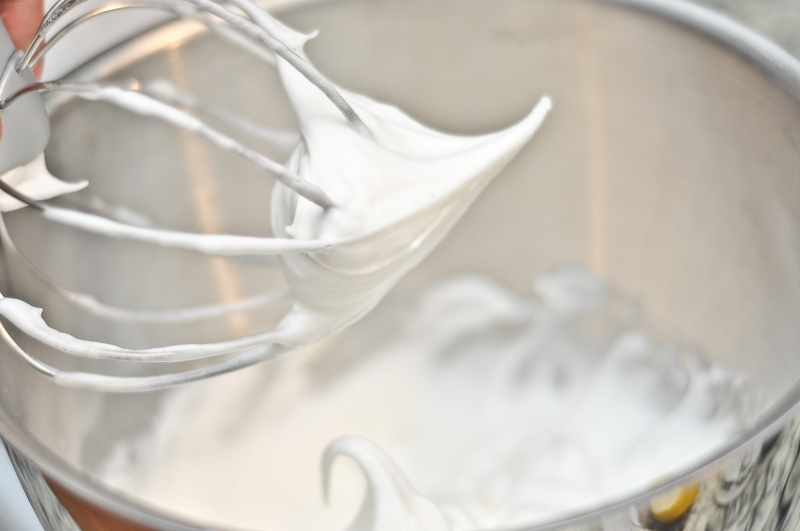 Then came the idea of Xanthan Gum, it’s a stabilizer used a lot in baking, especially when it’s a gluten free recipe. It makes a dough doughy without the use of wheat. So today I gave it a try and they came out the right consistency, held their shape up and pretty darn good! 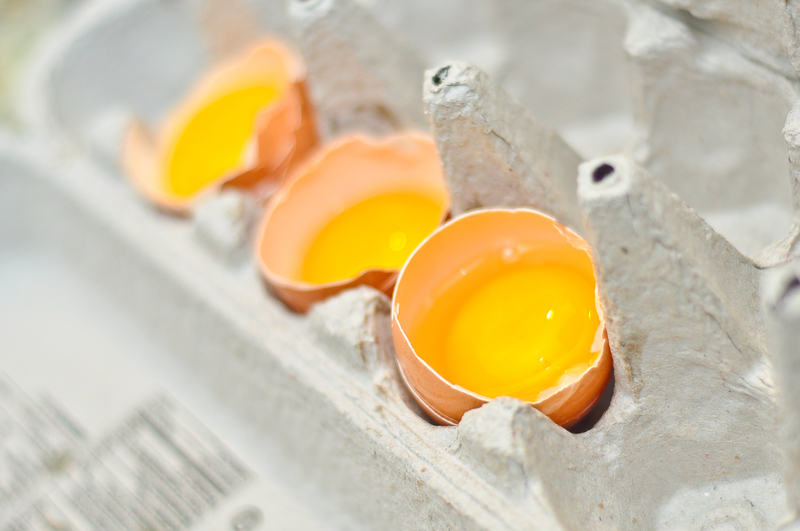 Make sure not a drop of the yolk or shell gets in your batter. 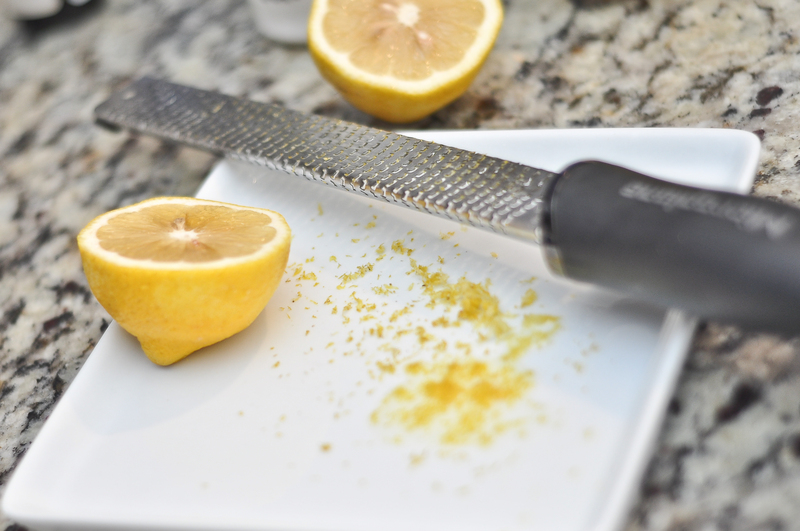 Zesting the lemons is one of my favorite part. The lemon zest smells amazing! 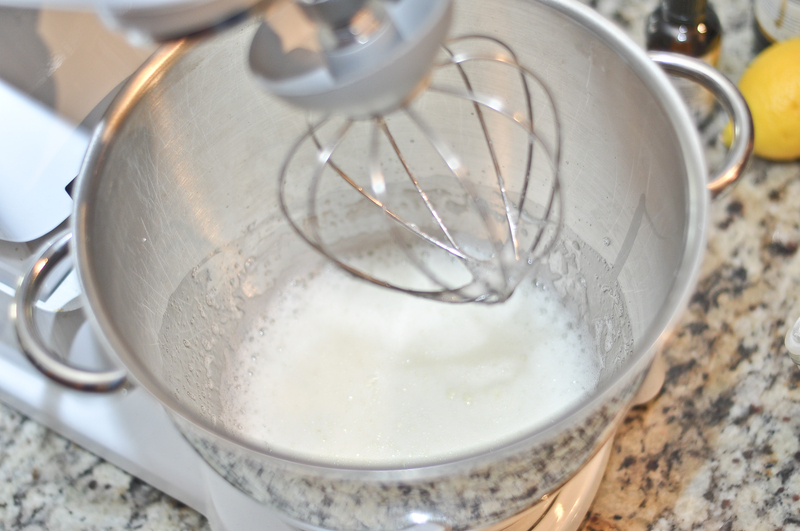 Set your mixer on medium high and beat the eggs until frothy. 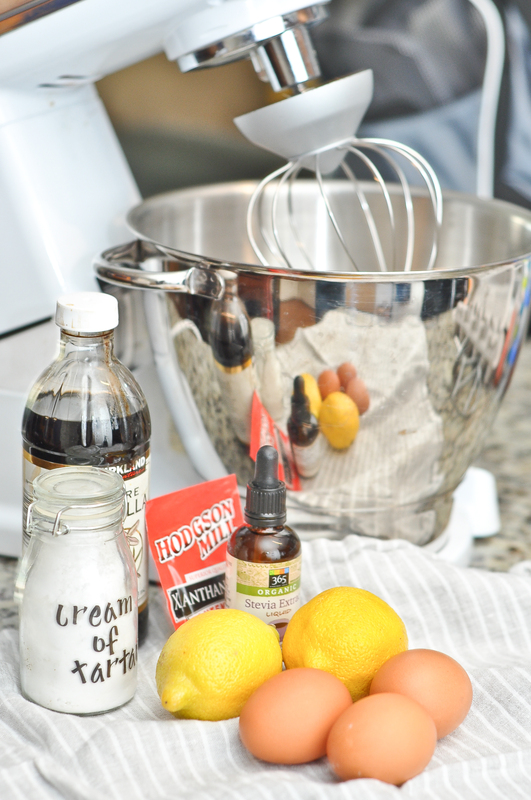 Add cream of tartar, vanilla extract and lemon zest and turn mixer to medium high setting and slowly add the xathan gum. This is when you can add cocoa powder if you are making chocolate flavored ones. Beat the eggs until peaks are formed. Transfer the mixture in a piping bag and pipe on little clouds onto a lightly sprayed baking sheet. I sprinkled a little bit of cocoa powder on some and a little bit of cinnamon on some of them for a little variety. Bake for an hour or until the center is completely dry. I like to leave them in the oven (with the oven off) after they’re done cooking for about 15 minutes to dry them out a bit more. I’m thinking I’m going to try some green tea flavored ones and other flavors I can think of. I will post an update once I do. Enjoy!